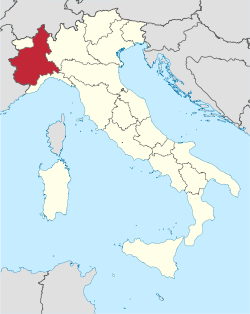 Vermentino is grown today in many parts of Italy; the variety "Pigato" (long thought to be a distinct grape, but DNA analysis says otherwise) is found mainly in the Liguria region, while as "Favorita" (also long thought a distinct variety) it occurs in the Piedmont region. As "Rolle", it is grown to some extent in France. It is also now grown in the New World—notably in many states of the U.S. and in Australia. 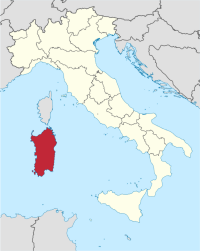 Of the many locales in which it is grown, it is the isle of Sardinia whose Vermentino wines arguably lead the pack in esteem, most especially wines from the DOCG area Vermentino di Gallura (which includes the Vermentino di Gallura Superiore DOCG). The wines Vermentino makes are noted for aromas and flavors of citrus and tree fruit plus minerality; the wines have a relatively low alcohol content, a medium body, and distinct acidity; some are vinified for crispness, but others can achieve substantial complexity and a sense of richness. It is one of those whites whose nose initially suggests an off-dry wine, but there is typically no residual sugar in Vermentinos. (Though in some regions it is vinified as a specialty sweet wine, Cinque Terre Sciacchetra.) The wines are normally made unoaked. As eminent wine writer Jancis Robinson puts it, "Body, acid, and perfume are its hallmarks, a good combination." Vermentino is often said to be a good vehicle for manifesting terroir, that elusive quality—or set of qualities—deriving from the exact spot where it is grown. The wine is not noted for aging potential, and so is best drunk young, perhaps within a year or two after the vintage date. Factoid: Despite near-universal recommendations to drink Vermentino young, some bottlings can, after a few years, acquire a sort of pine-y or resinous quality that some find atrtractive (though others do not). "Vermentino wines, Pigato wines, Favorita wines and Rolle wines have a lot in common, most obviously their refreshing acidity and attractive aromas of peach, lemon peel, dried herbs and a whiff of saline minerality." "In his presentation at [November 2011's] WineFuture conference in Hong Kong, British wine writer Steven Spurrier was asked to nominate the grape variety of the future and chose the Italian light-skinned Vermentino. While I have never had a truly great, long-aged example, I can quite see the appeal of young Vermentinos, virtually all of which exhibit the racy, citrus, often mineral and sometimes marine character of refreshing dry wine, usually unoaked and moderate in alcohol. This is a quintessentially Mediterranean grape variety, retaining its acidity well even in relatively warm regions. It is the dominant white wine grape of Sardinia and Corsica and generally straddles France and Italy . . ."
"[I]t has much to offer, whether as a crisp, tangy accompaniment to seafood — fritto misto would be ideal — or as a richer, more complex wine with a distinctively oily sort of texture. . . Vermentinos are generally made to be consumed while they still retain their youthful vitality, that is, in the year or two after the vintage. Yet, interesting things can happen with a couple of years of bottle age. . . The wine panel confirmed that vermentino has much to offer, whether as a crisp, tangy accompaniment to seafood — fritto misto would be ideal — or as a richer, more complex wine with a distinctively oily sort of texture." "Think citrus freshness, limes, preserved lemon, green apple, peaches and racy acidity, combined with a robust structure, sometimes a salty tang, with a lovely mouth filling fruitiness and a bitter almond finish that is typically Italian. Varietal Vermentino can be big, ripe and full flavoured or leaner and crisper in style. It doesn’t need aging and has personality and texture when young. . . 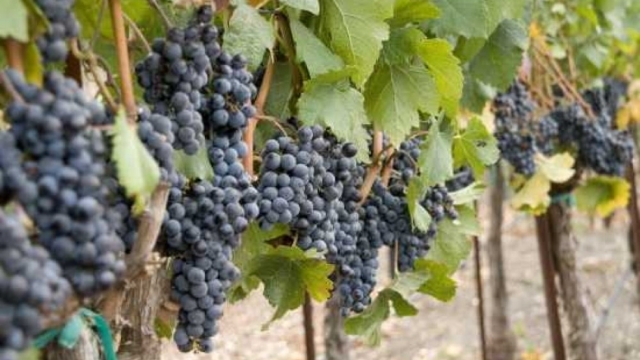 In Sardinia it is often picked early to retain those acid levels, sometimes at the expense of flavour and richness, or left on the vine to produce a higher alcohol wine. But, whatever the stylistic choices of the producer, it offers an appealing alternative to Pinot Gris or Sauvignon Blanc for perfect summer drinking." 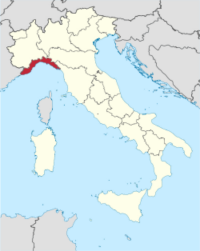 "Although it is currently grown in several countries around the Mediterranean, its best known examples come from northern Italy (particularly in the region of Liguria) and the island of Sardinia, where the wines are crisp, citrusy and generally unoaked. It is also the most widely planted white grape on the island of Corsica, where high altitude and hot climate vineyards produce more full-bodied wines with heady floral aromas. On the French mainland (where the grape is known as Rolle), it is found in Côtes de Provence and, increasingly, in Languedoc." "[S]ubtle floral and fruity aromatics, with an effusive flavor profile hinting at sweet but devoid of any residual sugar. " 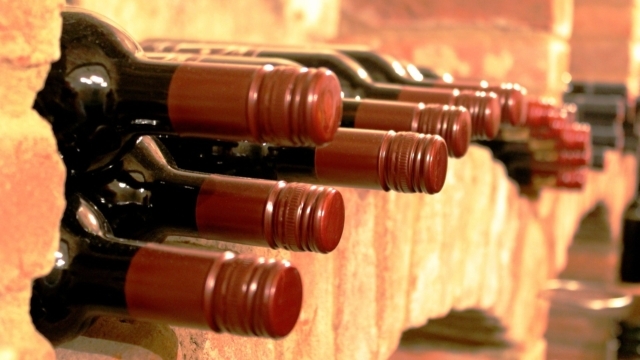 "[This] bright, zippy white gets my vote as the most Mediterranean wine in the world. . . In fact, affordability is one of Vermentino's great charms. . . At the end of my tasting, I couldn't help wondering why Vermentino was still so obscure. It's not only delicious and accessible but also reasonably priced and easy to pronounce. Its bright acidity and citrusy flavors were perfect for summer." "Vermentino is a dazzling white grape with bright flavours that shine – and with prices on something of a charm offensive, there’s a chance it may match the runaway success of Pinot Grigio. . . Vermentino always lurks behind Pinot Grigio, but in its own right it’s a gently aromatic white that can be as scented as lemon blossom and as bracing as the sea breeze. If you’re already a fan of unoaked fresh Italian whites, it should rule your shopping list." "As white grapes go, it never seems to lose its character. It is sunny yet almost never flabby, fresh but not bony. It thrives in the heat. . . All this underscores its chief virtue: It has the verdant aspect so key to white wine, yet it doesn't fall down the Sauvignon Blanc rabbit hole. At its best, it can trump a wine like Soave in depth, with aspects of resin, herbs and something slightly evergreen. (If you were preparing your violin bow in an orchard in spring, you might get a sense of what it tastes like.) Hence the Ligurians adore it for their seafood and pesto, and the Sardinians and Corsicans for their heartier fare." "Vermentino is a very aromatic varietal combining notes of citrus, fresh grass, herbs, and almonds with a crisp and acidic framework." "Look for wines that are light yellow gold in color. They have crisp steely mineral notes with nice citrus (lemon) flavors. So how are these wines different from the Vermentinos I recommended from Sardinia last May? The Ligurian take on these wines has more elegance and more refinement. They are more delicate in style with more perfumed aromas. At the same time, they have a bit more acidity, more zip in the step. Both are good, but perhaps these are better at the table." When shopping for Vermentino or any of its namesakes, be wary of vintage years: not a few retailers who seem to offer remarkable bargain prices are selling three-, four-, even five-year old bottles. That is not A Good Thing. We recommend avoiding bottlings more than two years old; such wines may be perfectly palatable, but the market discounts them heavily, which is suggestive. ♦ Aromas of beeswax, pressed broom and acacia flower lead the nose. The juicy palate offers up yellow peach, apricot and a ginger note alongside bright acidity. 89 points. ♦ [This wine] brings Vermentino to a whole new level. Bursting with flavor it is absolutely delicious , beautifully structured and can age. Youthful, lemony straw in color with a a refined, yet expressive nose that displays a medley of stone fruit, citrus and floral notes as well as a very distinctive stony minerality and accents of dried herbs. On the palate this wine really comes into its own, bursting with juicy flavors that mirror the nose. The acidity is crisp and there is a nice creaminess on the mid-palate, which makes for a full, rounded mouthfeel. The flavors are focused and persistent, and the length is long and minerally…Most Vermentino wine is light and easy drinking, but this Solosole has the weight and texture to work with a variety of dishes at the table. ♦ Made from a hard-to-find variety in California, this bright, beautifully aromatic wine expresses gorgeous scents of jasmine that follow through in flavor to the finish. Its layers of lime, apple and a generous level of minerality are perfectly executed and waiting for seafood. 92 points. ♦ “Vermentino,” says [winemaker Jim] Moore, “is the thinking man’s Pinot Grigio.” Like Pinot Grigio, it tends to be light, dry and breezy; lemony tart without being puckery. Where Vermentino veers off – as in the 2009 Uvaggio Lodi Vermentino – is in its multifaceted nose: lavender, thyme and lime blossom fragrances, with undertones of cantaloupe and nuances of wild honey and cream. On the palate, it is silkier than your typical Pinot Grigio, the crisp qualities popping through the fleshy fruit, stony and woody herb sensations. ♦ After chilling it down for about 20 minutes and pouring it into the glass, I took a sniff, and thought, “ah, that nice mineral and floral character I love from Vermentino.” Then I took a sip and thought, “whoa, there’s something different about this Vermentino. It’s a little richer, sweeter, fatter, and more creamy than I expect from the variety . . . this particular example from Uvaggio retains much of the character an experienced geek expects from Vermentino — mineral notes, delicate floral aromas, citrus. However, there’s definitely a “New World” style weaved in, perhaps the result of the warmer climate combined with some cellar techniques — maybe some of it went through a malolactic process to create the plush texture, and/or a kiss of oak is behind the sweet vanilla. On its own, is a pleasant sipper. With food, it’s lacking acidity to stand up to richer dishes, but should pair nicely with lean meats and simply grilled fish. ♦ The 2011 Uvaggio Vermentino begins with a very nice light fruit and floral aroma. This easy to drink wine tastes crisp and fresh with an excellent texture, good acidity and flavors of lime and green apple. On the finish the fruit turns tart, a little white pepper appears and then you're left with lingering mineral notes. ♦ A dusty, zesty and attractive wine loaded with juicy minerality that clocks in at just 11 percent alcohol and no residual sugar. Notes of thyme, rosemary, bay laurel, mint and cilantro; lemon peel on the finish. ♦ Straw is the resonant hue in the glass, and the nose features a strong minerality with aromas of pear and a faint tropical reference. On the palate, a big splash of savory fruit makes an impression, but it seems to lack acidity. The taste is great, though. I paired it with a margherita pizza and a spinach salad with bacon. The acidity simply couldn't match up with either the pizza or the bacon, but it did nicely with the spinach alone, and with a crust of bread and olive oil. A little more acidity would have made this nice sipper a perfect match with food. ♦ It delivers lush flavors of Golden Delicious apples, Anjou Pears, buttermint, clover, melon, fresh figs, and a vibrant core of honeysuckle, all wrapped in a silky texture and a crisp finish that literally made our mouths water. We’ve tasted a lot of Vermentino just this week, at an Italian tasting in Seattle, and this Uvaggio would have stood toe-to-toe with any of them. ♦ Uvaggio is making a serious case for Lodi Vermentino. This bottling is compelling: savory with herb and green olive notes, and yet freshly fruity and delicate, well integrated and plenty acidic to stand up to a wide range of food, even given its modest 11% alcohol level. A stunner that’ll keep you thinking, and asking for more. ♦ [Google-translated from Italian:] In view, we are in the presence of a calm white wine of straw yellow color of low intensity, adorned by a greenish yellow trim. It is a delicate wine, clean and bright, that in the glass moves moderately forming tears of little structure, which tells us that it is a wine with a low glycerol content. In the nose, it is an expressive wine in which aromas of citrus green predominate, such as lemon peel, lime and mandarin. Likewise, we find touches of white fruit also immature, reminiscent of pineapple pulp, peach and apricot. It also shows a flower-like touch of orange blossom. In the mouth, the entrance is soft and predominates a high average acidity as the acidity of the green pineapple. In the middle of the mouth the acidity is reaffirmed and we could compare it with that of a green mango. The end of the mouth is short and there are touches of green apple. The alcohol in this wine is balanced. The aftertaste is medium and highlights notes of bitterness comparable to those found in the skin of the green mandarin. Score: 4/5. ♦ Crisp dry and elegantly fruited, this charming white shows lemon zest, white peach and subtle spice aromas on the nose, leading to a delicately expressed palate that's finely textured and lingering. ♦ [Google-translated from Italian:] Visual exam: Limpidity: clear; Color: Straw yellow; Consistency: consistent. Olfactory Examination: Intensity: intense; Complexity: complex; Quality: fine; Descriptors: Yellow flowers, fruit (peach, apple). Olfactory taste test: Sugars: dry; Alcohols: warm; Polyalcohol: Soft; Structure / body: body; Acidity: fresh; Tannin; Mineral substances: sapid; Balance: Balanced; Intensity: intense; persistence: persistent; Quality: fine; Remarks: Very interesting wine with a good acid shoulder that will also ensure a good longevity. Final Considerations: Evolutionary state: ready; Harmony: harmonic…86 points. ♦ Pale yellow color. The nose is fruity, with intense aromas of citrus and notes of white flowers. Vibrant structure in the mouthfeel, refreshing acidity. Also fruity and modern. Medium/long finish. 89 points. ♦ This full-bodied white opens with aromas of ripe yellow peach, Spanish broom, chamomile and Mediterranean brush. The round, creamy palate doles out juicy pineapple, baked yellow apple, saline, mineral and candied nectarine zest alongside soft acidity. 91 points. ♦ While most Vermentino is light, breezy and lemony…Argiolas also makes a more full-bodied one, called “Is Argiolas”…still with excellent acidity and verve, but with an almost pear-like spice and texture that holds up to more intensely flavored seafood or chicken dishes. ♦ This wine is 100% Vermentino sourced from 32-year-old vineyards. 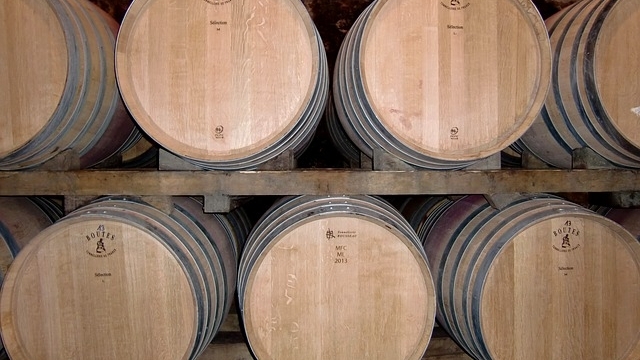 It was fermented then aged for 5-6 months in stainless steel tanks. The color is a light straw yellow. The light, low-lying nose has aromas of ripe white and yellow fruit. In the mouth the lightly concentrated wine has nice weight, white citrus, and minerals delivered in a taut body. Well-done. Could age. ♦ This crisp and snappy wine shows varietal characteristics of stone fruit, cut grass and pear, backed by a full and generous mouthfeel that speaks of the warm Tuscan sun. 88 points, Editors' Choice. ♦ Behold: your first bouquet of white flowers this spring as you take in the heady nose of this Tuscan Vermentino. However, this is no delicate flower of a wine, as it quickly dives deep from delicate to minerally, even nutty (think hazelnuts, in particular), landing on a crunchy bite of Granny Smith apple in the finish. ♦ The dry white wine is like a cross between Viognier and Sauvignon Blanc. It has the floral, fruity bouquet characteristic of Viognier and the tart finish found in many Sauvignon Blancs. ♦ Pale straw yellow in colour with refreshing, youthful replays. Seductive aromas of pear, melon and lime. Beautiful crisp pear, apple and lemon as well as silky custard flavours. ♦ Argiolas Costamolino Vermentino is one of the best examples of the varietal you will find easily in the United States. It is fresh, clean, and ripe, expressing pear, peach, spice (cardamom? vanilla? ), and a touch of grapefruit on both the nose and the palate. It also has hints of lemony citrus, mineral, and herbaceous flavors, and is held up with a good edge of racy acidity. Texture is smooth, almost creamy. Though it appears to be a simple, light and refreshing wine when ice cold, if you let it warm a bit you’ll find it is actually rich and complex. Fairly unique, I’d say it’s what you would get if you crossed a rich Chablis Premier Cru with a Pouilly Fume. Drink it with almost any appetizers, smoked fish, cured meats, seafood, poultry, pork, or spicy foods. It also cuts right through overly garlicky dishes, such as what you might find in Greek cuisine. A winner in every way, and a good value at around $11.99. Buy as fresh a vintage as possible. 94 points. ♦ The color is somewhere between deep yellow and green. Often described as light and crisp, I find this wine certainly crisp, but I believe it has more heft than other so called light bodied, Italian white wines. Aromas of fresh peach, herbs (maybe basil?) and a smidgen of honey continue on the palate with great balance and acidity. This wine also has a nice, well rounded mouthfeel with a citrus finish. ♦ Notes of mineral, tropical fruits, citrus and sweet herbs, pine oil, lanolin, beeswax and a hint of spice. It is a potent white with great concentration of flavours; layers of citrus peel, beeswax and tropical fruit clings to your palate. Expect an oily texture and decent length with bright acidity to keep it fresh and lively. This is a thoroughly charming white, which I could drink every day. ♦ This wine has “refreshing and elegant” written all over it and it is sooooo good. It is a full-bodied but elegant white wine and it’s delicate, refreshing taste and bracing acidity will appeal to those tired of big, oaky California-style Chardonnays popular these days. Costamolino is the wine of choice to accompany antipasti, shellfish and seafood dishes. Try it with angel hair pasta with clams. ♦ Big ginger, floral, spicy, melon aromas mix with notes of quince, apple and citrus. Fresh, creamy, juicy, off-dry palate with honey, orange, baked pear, ginger and butter flavours. Plenty of flavour here. ♦ Aroma: Citrus, tropical fruits. Taste: Rose, melon, spice with nice crispness and honey notes. My thoughts: This was the hit of the night…a lovely fuller bodied Italian, great pairing with food and great price point! ♦ Perfect for summer sipping; cool, refreshing and fruity. There is a pronounced amount of yellow plum and white peaches, puctuated by the trademark salinity of Sardegna’s sunny vineyards. This wine is like potato chips- you can’t have just one… bottle. ♦ The honeyed lemon of vermentino certainly calls to mind its origins in this great-value white; pasta with creamy sauces. ♦ Eye : clear, pale to medium lemon with a tinge of green Nose: clean, low to medium intensity. Citrusy notes along with a slightly herbal quality I can’t quite place, overall it’s very pleasant, one whiff of the nose and you feel like the first sip is going to be refreshing. Palate: medium acidity, light to medium body, low to medium length of finish. Yep, I was right, refreshing it is. 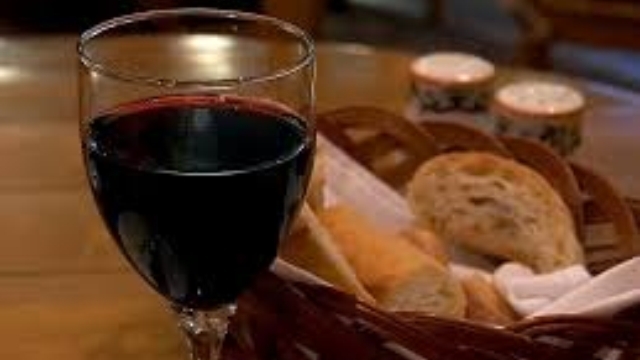 The wine is very crisp, clean and refreshing without being too harsh. The lighter body and acidity are balanced and the flavors are a little surprising, the citrus is there but there is clearly some white peach or other stone fruits. It makes the wine a lot fruitier than I expected without ruining the crisp, refreshing quality of the wine. ♦ I found this wine to be a bright yellow in color with an interesting nose of tropical fruits. On the palate, it is crisp and has delicious flavors of citrus and tropical fruits. It has a nice balance and is very pleasing to the tongue. . . At its price, this is an excellent value and well worth buying. If you want to try something different, buy this wine. This wine, for several vintages has received very positive press. For example, Robert Parker said: "The 2004 Vermentino Costamolino (perhaps the finest Vermentino I have ever tasted) exhibits ripe, exotic fruit (banana, pear, mango, and lemons) and salty sea breeze-like notes. With a delicious texture as well as a dry, heady finish, it will provide plenty of pleasure over the next 12 months. Score: 90." There are a few botlings that score slightly (very slightly) higher than those in the list above, but they are scarce (in the U.S., anyway) or comically expensive. Thus, we offer no "splurge" selection here. This page was last modified on Friday, 2 June 2017, at 10:32 pm Pacific Time.